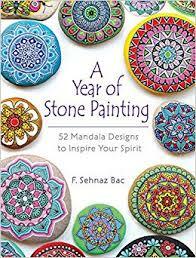 A Year of Stone Painting takes us thoughtfully and mindfully through an entire year of meditative creativity. In ancient Sanskrit Mandala means “circle” or “completion”. Mandala represents the universe, and per the author, “In Buddhist tradition, the act of creating a mandala represents transformation of the universe….”. And he goes further to say that mandala design begins with a point in the middle, then develops with different shapes such as rectangles, squares and most commonly circles “…and the beginning of a journey toward knowledge and wisdom….” . The author gives the reader guidelines as to the type of stones you need, how to prepare them and the other tools and materials that are required. Techniques are outlined to ensure your success. You can choose how you want to draw the designs on your stones, either freehand, freehand with concentric circles or freehand with a grid of concentric circles and lines in case you want to be absolutely sure your design is balanced. There is a page with illustrations of shapes and motifs that are used in the designs in the book so that you can practice drawing them on paper instead of straight on the stones if you choose to do so. Each week for a year is represented with a different design and mindful thoughts to accompany your painting. For example, week 5 is the Peace Wreath Mandala. We are told that “Each one has to find his peace from within” and this particular design symbolizes every step we take to reach that peace. Week 32 is entitled Feel. It reminds us of the times we feel good and the times we feel bad. Unlike most of the others, it is only red, white and black. The weekly designs are inspirational and beautiful. I can imagine restful hours of painting that will enable you to slip into mindful thoughts. Too often we are bombarded with noise, the hustle and bustle of everyday life and electronic devices. 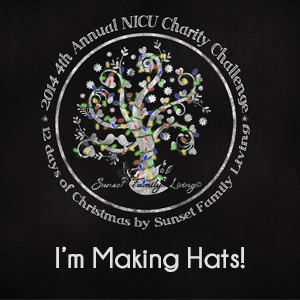 Maybe a little inspiration and creativity will help renew and rejuvenate your spirit. If you don’t want to search out stones, consider using paper instead. You could easily create all of these designs on small or large pieces of paper. If you choose to use paper, you might want to use pens or pencils instead of paints. However you approach these beautifully inspirational designs I am sure you will enjoy the peace and serenity you will experience while creating them. Soap making has been around for years. My grandma used to make it out of lye and ashes and dad always complained it did the job but it wasn’t necessarily easy on your hands. Store bought soap used to be a luxury. Now we purchase soaps in many different colors, shapes and scents from stores, but I prefer handmade soaps. Local artists create wonderful soaps, many of them unique with colors and ingredients that smell fabulous. They are often pricy and there is a reason for this. There is a lot of work that goes into making your own soap, but if you read Milk Soaps, you will have step by step instructions to help you succeed if you would like to give it a try. A balance of a high-pH substance such as lye or sodium hydroxide and oil will make soap. But the process is not quite that easy. A “carrier liquid” is needed, most of the time water is used, but true to the book’s title, the recipes in this book will use milk. You can use any kind of milk. I loved the chapter on the different types. Most memorable are camel and make your own nut, grain and seed milks. There are special techniques for working with milks in soap, one of them outlines how to use frozen milk. Why does the author use milk instead of water? It is all about the lather. With milk soap, the lather is creamier and the foam is finer and silkier. Milk is a natural moisturizer to soothe and soften your skin. Ms. Faiola includes 35 skin-nourishing recipes. She gives the reader detailed lists of items needed as well as how to safely use lye. It is an extremely caustic substance and should always be used with the proper safety equipment and attire. Dressing like a lab scientist not only looks cool, but keeps you safe from getting lye on your skin or in your eyes. Making soap is complicated. Milk Soaps gives you all of the written instructions, tips and tricks to create your own fabulous soap. It is interesting to read even if you don’t want to make your own soap, it will give you information that you can use to choose the perfect soap from your local artisan or farmer’s market. If you do choose to make your own soap, you may find it is fun and all of your friends and relatives will love helping you try out new scents and color combinations. 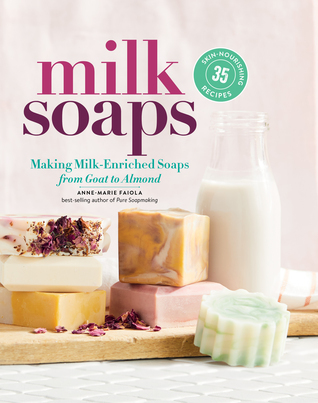 After reading this book and seeing the work soap making entails, I understand the reason for the price of handmade soap, and appreciate the work that the soap maker has put into each bar of soap. Soapmaking is truly an art. How are you creative? Before you say to yourself you are not an artist or creative, think again, outside the box this time. What is your medium? Mine is words and yarn, because writing and knitting allows me to express myself. 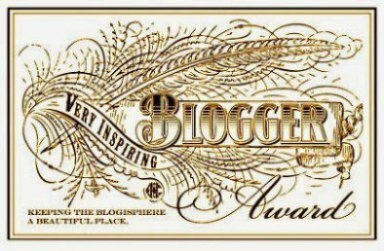 So, back to you – are you a gardener, baker or woodworker? Then you are an artist. Would you like to become better at what you do or create paintings, sculptures and other works of art? 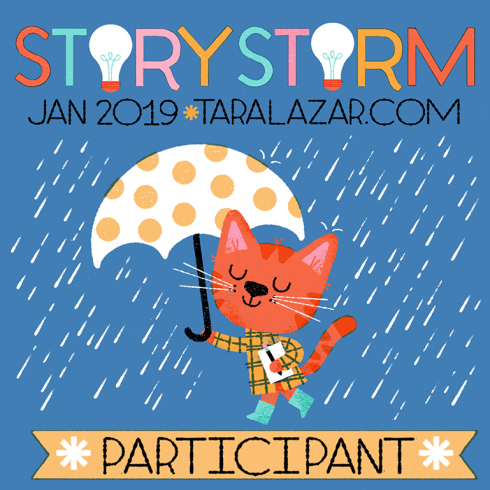 Lucky for us New York Times bestselling author Marjorie Sarnat has compiled over 300 tips and tricks to help you develop your skills as an artist, using many different mediums. 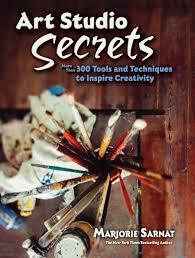 Art Studio Secrets inspires and informs the readers in an easy to read format. While most of the information in the book is aimed at adults, here are some tips that are appropriate children. Each kid-friendly tip is marked as such. You and your budding artist will enjoy spending time with each other. Creativity always trumps electronics. One of my favorite kid tips is using a plastic ice cube tray to hold acrylic paints. This cuts down on messes, keeps the colors separate and can be covered so the paint can be used again within a few days. 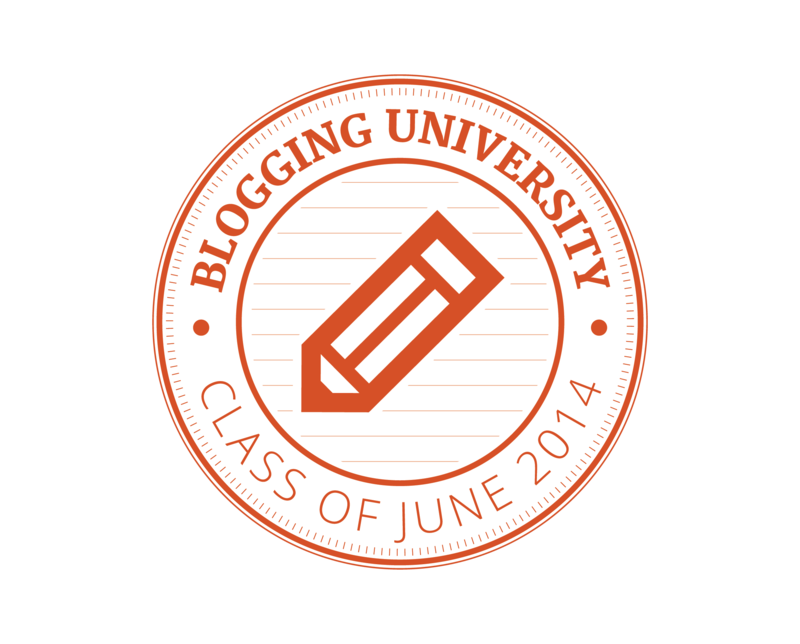 Each tip is a paragraph or two in length and organized in chapters for your convenience. All are titled to catch your eye. Such as “Size Matters”, “It’s Good to be Negative” and “Make Things Look Shiny”. Just reading though the tips you will become excited to put paint to paper or pull out a pencil and sketch. While reading Art Studio Secrets, I found out that dating back to the 1600’s artists created trading cards. Meant to be given away and not sold, they are the size of baseball cards. In the 1990’s Artist Trading Cards (ATCs) began creating cards that are signed, dated original mini works of art. 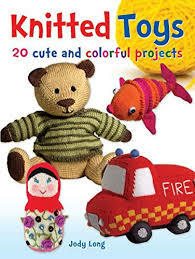 Ms. Sarnat suggests creating them with your kids to use as Christmas tree decorations. Giving them as gifts would delight grandparents. They would also make the perfect Christmas gift tag that can be cherished by the recipient instead of tossed out with the wrappings. Even if creating something inspired by this amazing art book is just a few minutes of relaxation for you, never to be seen by anyone else that is okay. I firmly believe that art feeds your soul no matter what medium you choose and it doesn’t matter if it is just for you or to be shared with others. Ms. Sarnat will enlighten and inspire you with ideas and information. Wake up the artist that lives within you and your children by reading this book. What is a book? 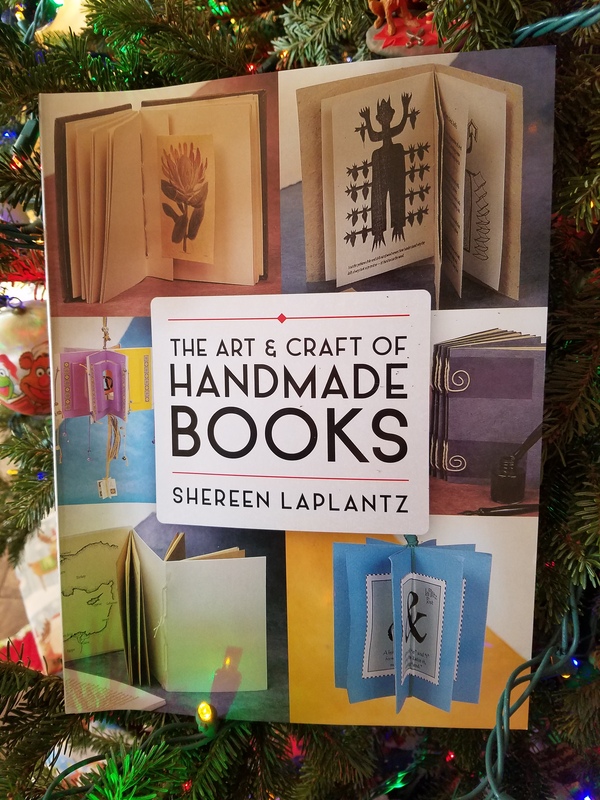 The author of The Art & Craft Of Handmade Books acknowledges books can be described differently but we will go with her definition for the sake of this review. Laplantz defines books as “must contain elements, such as panels or pages, and should follow a sequence.” I too, believe that sums up a book. In this book about making books, you will find a glossary that will enable you to familiarize yourself with the craft of bookmaking. We are not talking about writing a book – although your handmade book may contain prose that is your own. 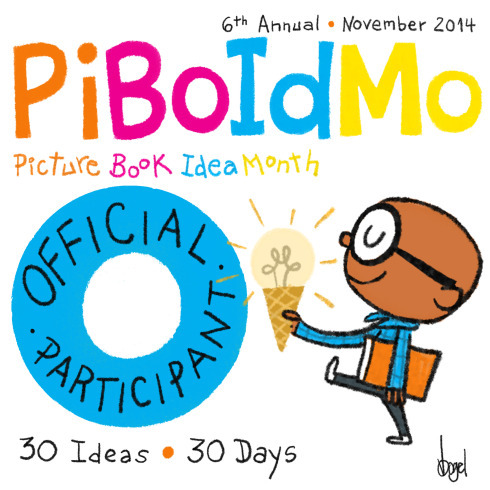 Or it may contain only pictures or quotes you want to add from famous poets. The possibilities are endless. You will learn what materials are needed. Some are specialty items, but no worries. There is a recipe to make your own wheat paste if needed for your creation. Just remember that each handmade book is a work of art and should be treated as such. Some of the book are made using calligraphy, others will use rubber stamps and yet others may only be pictures. All of the patterns, in various styles, are fully explained with illustrations as well as written instruction. Beginning with the basic Concertina which only uses a 6 x 28 inch piece of paper, you can create a mini masterpiece to keep or share with someone you care about. I love the variation of a Concertina in a Matchbox. This tiny book is sure to be treasured by the recipient for years to come. My favorite design is the Tassel Book. It is constructed by creating a 16 panel Concertina that is joined together. It creates the shape of a star when looking from the top. Adding a ribbon to the top of your book it can be hung as a decoration (I’m thinking Christmas) to delight friends, family and yourself. Panels that open can be added for an extra element of surprise and beauty. Handmade books may take a little finesse to create. But honestly these are not popsicle stick snowmen (which are great in their element) but fine works of art to be shared and enjoyed by friends and family. I plan on trying my hand at some simple Concertinas to make a few Christmas books for the special people in my life next year. This type of art is a throwback to a time when all books where created by hand instead of being sent over the internet to your favorite electronic device instantly. It is nice to know some still create one of a kind works of art in the form of books still today. When “The Blue Lady” was brutally sliced from her frame in the National Museum of Wales, Paul, the night museum guard, is distraught. Who would do such a thing to the painting he and countless others adore? But he doesn’t have much time to think about this abomination because the thief or thieves are still in the gallery and make sure that Paul doesn’t live to tell anyone what he knows. The local police are on the case. But so is the National Crime Agency. They both secure the museum and begin looking for the art thieves turned murderers that have stolen the painting that is worth millions and snuffed out the life of the young guard. The Agency sends agent Frieda Haas to deal with the crimes and the local police. The locals have a consultant in their pocket that could have the skills they need to crack the case, but she has problems of her own. Amy Lane can find anything on the internet. She is the best hacker around and has consulted for the police before. The only hiccup in the plan is she is agoraphobic and has too much anxiety to leave her apartment. The pull between the departments as they jockey for pole position is about to get ugly. Normally, she functions pretty well, using her side kick Jason Carr as her eyes and ears in the outside world. She is attracted to him, and doesn’t mind that he is an ex-con. He brings stability to her world and sometimes she feels close to normal when he is with her. As the case progresses, the animosity between the two police agencies and Amy’s consulting comes to a boiling point. Are all of them looking in the wrong direction? Have they been trying to sabotage each other to the detriment of the case? No one is happy and the criminals are still on the loose. The good guys are going to have to stop fighting and look outside of the box to catch the thieves. This YA novel is interesting and action packed. The twists and turns keep the reader guessing. There is a bit of romance going on between Amy and Jason but I’m not sure where that is going. Enter Frieda who is making moves like she would enjoy spending more time with Jason – outside of work. I like the characters. I could feel Amy’s anxiety and picture Jason’s sexiness. There were interesting interactions of the main players, giving the readers a glimpse inside their heads. This is the third book in the Amy Lane Mystery Series. It worked ok for a stand-alone novel. I was not necessarily confused, but felt there was background that I didn’t know about that would have made things clearer sooner. But don’t take that as a negative point, it is like meeting someone in high school instead of grade school. 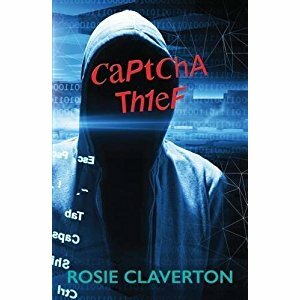 You learn their history in bits and pieces and that is ok.
Captcha Thief is a satisfying read for YA and adult readers. I recommend it to anyone who enjoys a great whodunit with cyber twist. “From November 20, 2015 through January 2, 2016, The Morton Arboretum glows with dazzling LED lights and trees that respond to your touch and voice, as Illumination: Tree Lights at The Morton Arboretum returns for a third year. See trees in a different light. Stroll over a mile of innovative lights and projections. Hug or sing to trees, and they respond. Enjoy new music from the Chicago Symphony Orchestra. More music, motion, and magic fill the winter woods! Create memories your family will cherish for years. It was all this and more. Walking in the crisp night air seeing thousands of lights and interacting with them was a delight for children and adults. Words cannot describe the beauty, so I’ve added a few pictures. If you are in the Chicago area, I encourage you to see this display during the Holidays. Our youngest son and daughter-in-law enjoyed the lights that changed color when you talked or sang to them. These color changing orbs created an alien landscape. One of my favorites! Trees transformed by light into works of art.